The car seat is one of the most important purchases a parent can make towards ensuring the safety of their child. Rear-facing car seats especially can mean the difference between little to no injury and major injury and possible death. But apart from being necessary, car seats can also be on the pricier side, and having to deal with the physical, emotional, and yes, monetary consequences of a car accident is bad enough without having to deal with replacing them. If you choose to keep the car seat you had after an accident, it’s important to make note of several key factors that can alter or diminish its safety and efficacy. One of the most important things to know is that, similarly to helmets and airbags, car seats are safety-tested for only one crash event. What this means is that there is simply no way of knowing if the car seat is still effective or safe after any sort of accident, whether major or minor. While a moderate to major crash event would indicate that it’s best to just dispose of the car seat entirely, with a minor crash event, there could be some room for compromise. A major crash event is defined as an accident where one cannot simply move the car to the shoulder, exchange insurance information, and drive the car away - it involves anything beyond cosmetic damage, in which airbags were deployed if present, and/or if injuries were sustained. If the car seat in question was involved in such an accident, consider it a lost cause and dispose of it, even if the damage to the car wasn’t near the area where the car seat was located. However, if the crash was minor, in that the vehicle is able to be driven away, there is no damage to the door nearest the car seat, the airbags were not deployed, and there were no injuries, then there’s a good chance that the car seat is still usable, as long as you know what to look for. The most obvious thing to look for in a car seat that’s been involved in any accident is to look for any damage to the car seat itself - any cracks to the chassis or body of the car seat should mean an instant discarding. If there are no signs of visible damage, the car seat will likely still be useable. Check the expiration date on the car seat and if it’s past or near the date of the accident, it’s probably best to just discard the car seat as well - a component’s normal wear could be exacerbated by the accident and continued use would likely result in part failure. Check all of the moving parts in the car seat to ensure they’re still working. This includes the clips on the harness, the release mechanisms, and the connecting fixture points that secure the car seat in place. If one of these isn’t working and the part cannot be replaced or fixed, toss the whole seat. Have the car seat formally inspected by a safety inspection service. 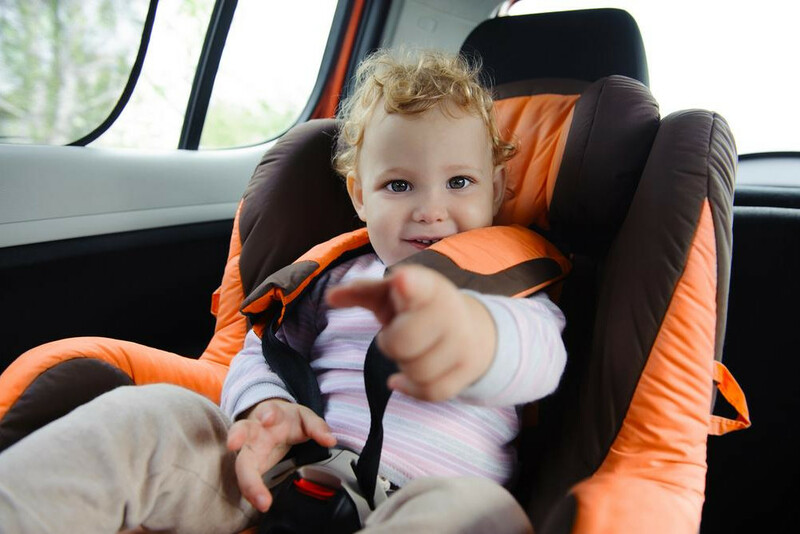 Just like you’d have done when installing your car seat for the first time, taking it in for an inspection will help ensure that the car seat is still fitting in its proper place after an accident. A car accident can be stressful and expensive enough without the added burden of replacing costly car seats. While a major or even moderate crash is usually enough of an indication that a car seat involved is a lost cause, a minor accident doesn’t have to turn into a major headache. As long as proper care and diligence is applied, a car seat involved in a fender-bender can keep on doing its job of making sure your kids are safely secured. Q: How do I delete a phone pairing on Uconnect? Q: Where and how should children be seated? Q: Wouldn't start, just cranks. It's been happening since front end was damaged. Everything was fixed from the accident, what could it be?